Love Nails understand this and dedicated to the girls who live and enjoy everyday at its peak. 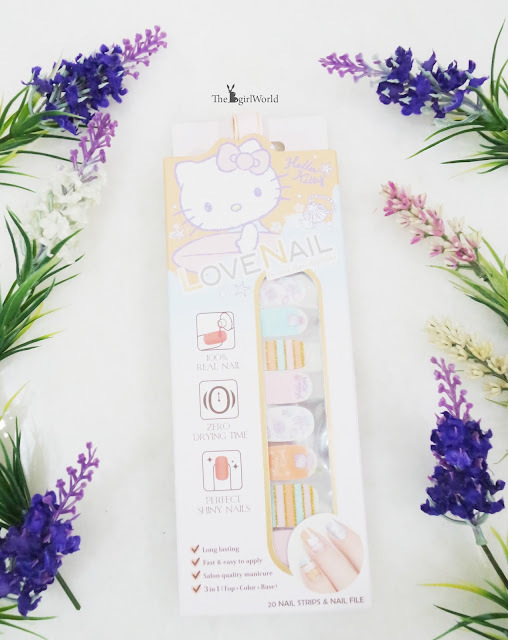 Love Nails is introducing instant nail appliqué polish strips to the market, made of 100% real polish formula, each strip includes base,color and top coats. Love Nails instant nail appliqué has passed SGS tests, does not contain the four heavy metals (arsenic, lead, mercury, cadmium) , it is safe. 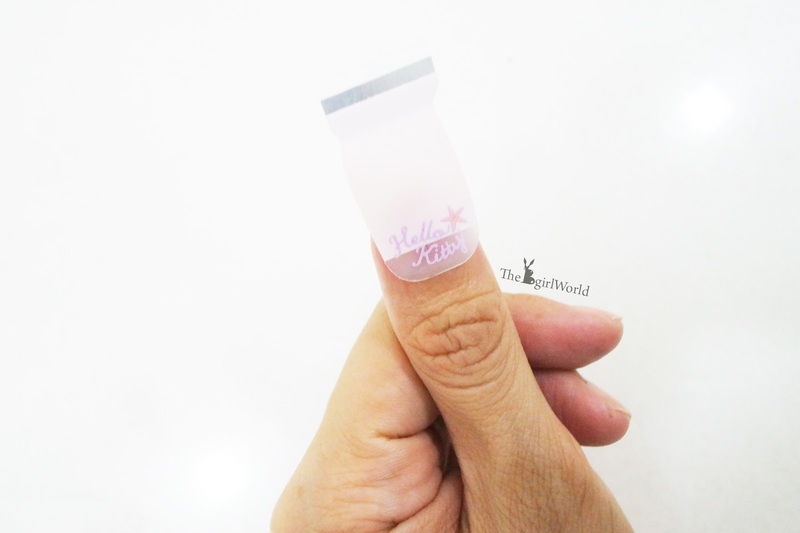 It is flexible and can contoured to fit any nail size. This is a salon quality manicures and guess what? It can be done in just 10 minutes!!! 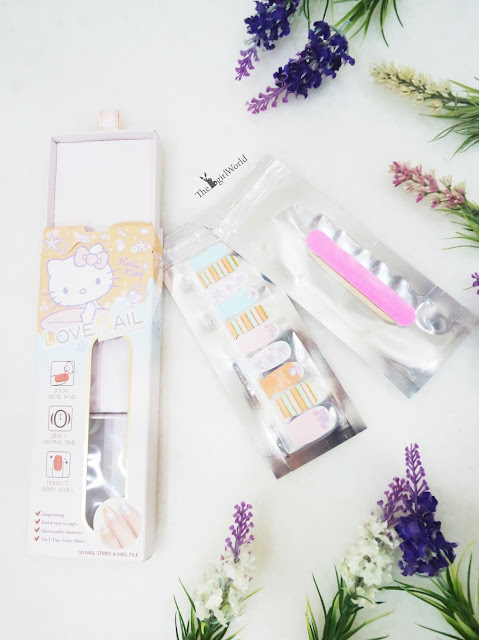 So say goodbye to liquid nail polish, say goodbye to those very frustrated problems (drying time, smudges or streaks), no more worry on blurring color and uneven spreading. We can now applying Love Nails at home anytime or bring it out for travel, it can last up to 14 days. There are a lot of designs in different collections, i got the cutest Hello Kitty <beach> Manicure stickers! 20 nail strips in a pack with 10 designs (in 10 sizes) each. < Before use >Stickers bond with nails poorly if nails are dirty or with hand cream.Please remove nail polish before applying stickers. 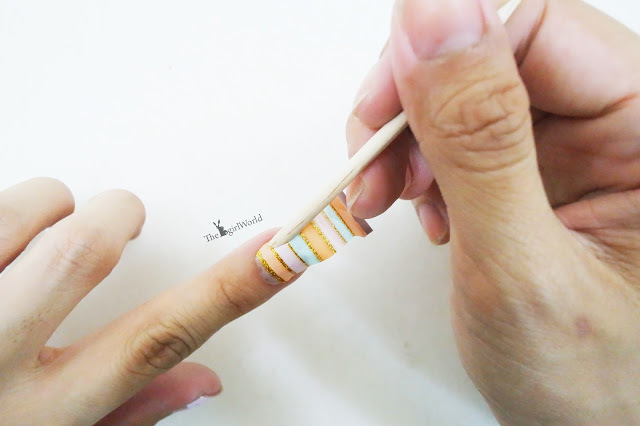 Use the wooden stick to push back cuticles. 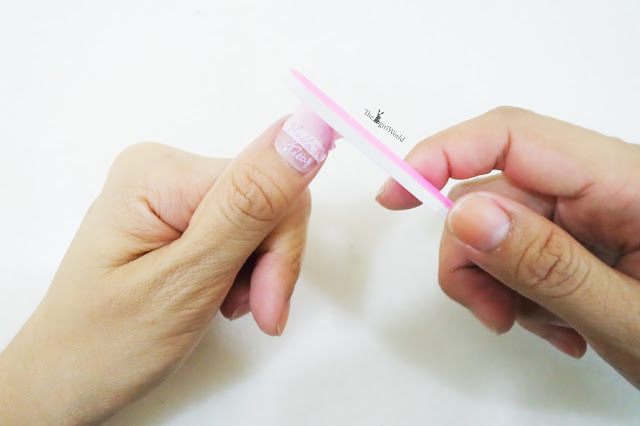 Clean and buff nails, make sure that your natural nail are clean. 2. 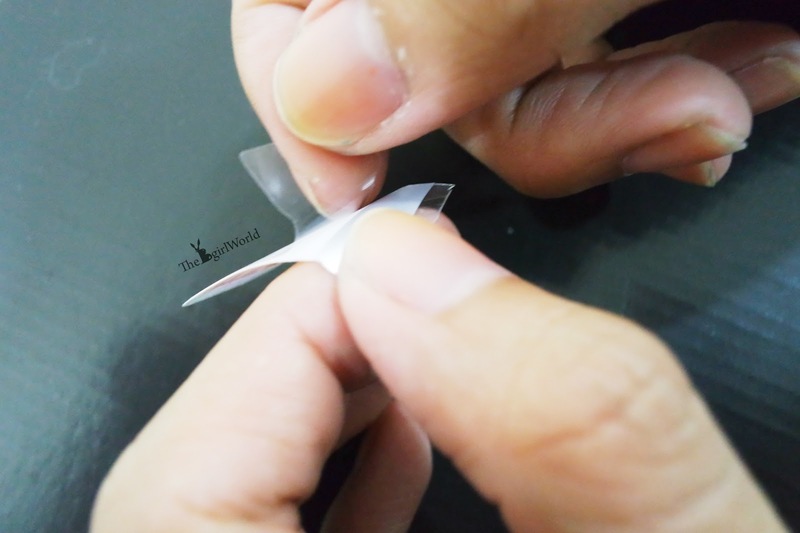 Remove the protection films from top of nail strips and clear film from bottom of nail strips. 3. Hold the silver part and apply to nail. Gently stretch to fit. 4. File off the excess in a downward motion. Avoid using nails within 15-20 minutes after nail strips are applied, in case they peel off more easily. After opening the unused stickers, please keep in zipper bag to prevent drying, store in a cool place. Remove it with traditional nail polish remover. 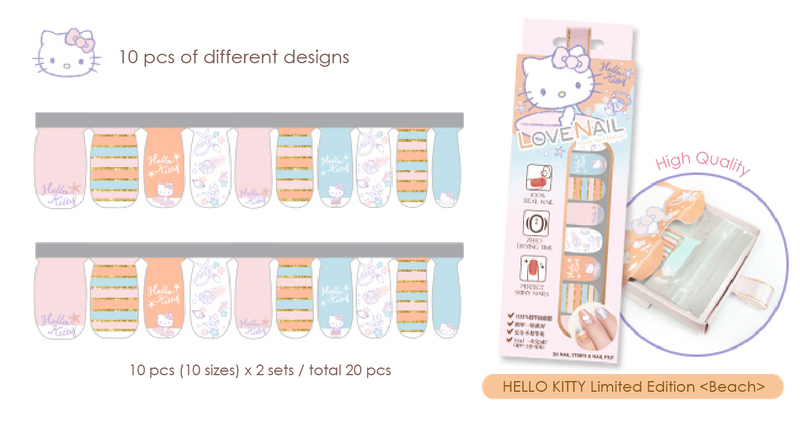 You can now purchase Love Nail collection and Hello Kitty Manicure at all SaSa retail shops in Malaysia. [Food] Momento 7 with all new Japanese Tonkatsu!